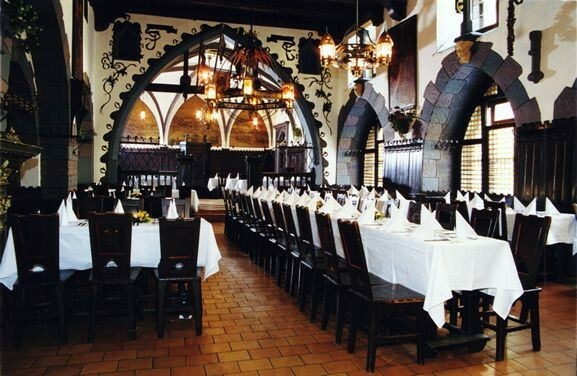 The second largest hall of our restaurant attracts guests‘ attention due to its beautifully decorated walls which bear a life-sized portrait of Vít Skřemenec, U Fleků’s first brewer. 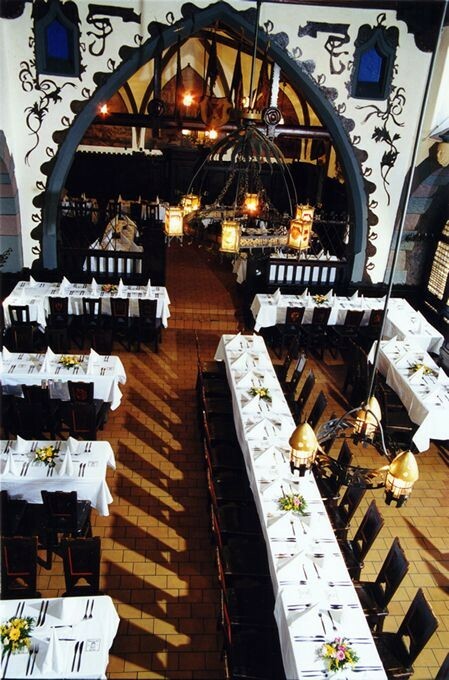 Carved wooden chairs with emblems of Czech towns offer a pleasant seating. 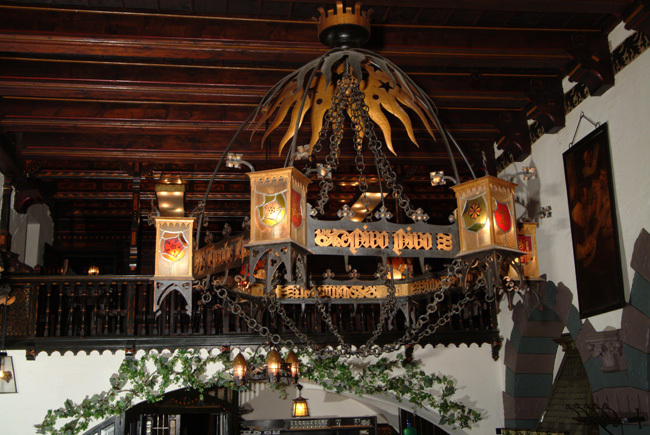 You can also find names of U Fleků’s brewmasters from 1499 to 1883 written on an ornamental door. 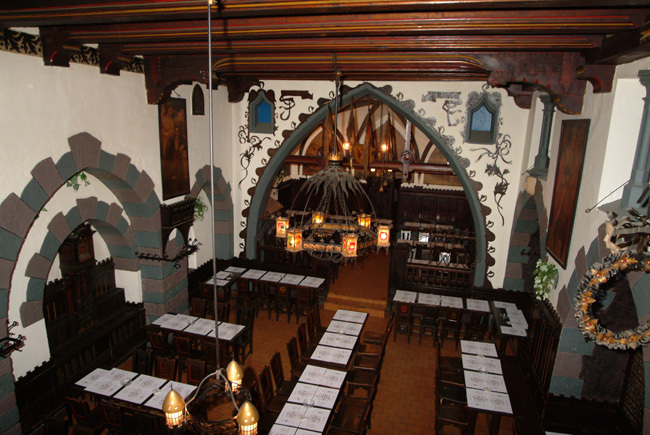 The Knights‘ Hall was built in a romantic style out of a former chapel and malthouse.